The WeddingWire Couples' Choice Awards® recognizes the top 5 percent of local Wedding Professionals from the WeddingWire Network throughout the United States, Canada and abroad that demonstrate excellence in quality, service, responsiveness and professionalism. 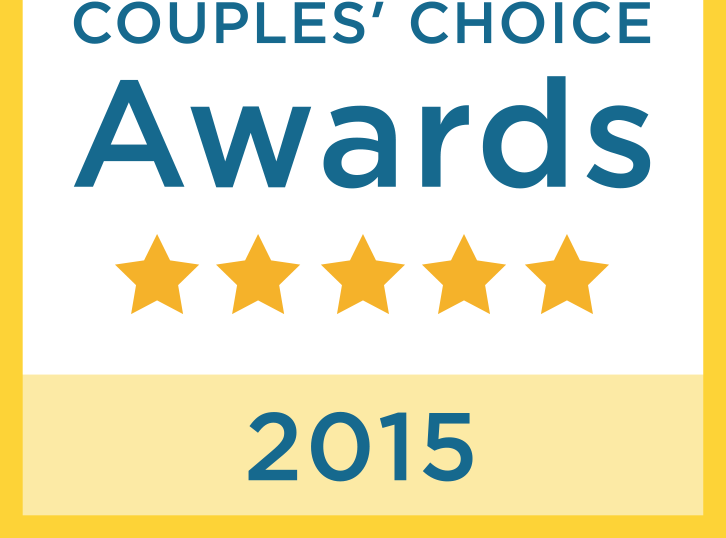 Unlike other awards in which winners are selected by the organization, the WeddingWire Couples' Choice Awards® are awarded solely based on the reviews from over 200,000 newlyweds. Awards are determined by a combination of excellence in four factors: overall rating (quality), total number of reviews (quantity), review performance from 2014 (recency), and consistency of reviews from year to year (consistency). Click here for more information about Casey MacKenzie Photography on WeddingWire.